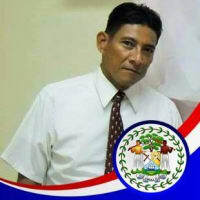 My name is Jorge David Aguallo originally from Benque Viejo del Carmen been in the marketing and publicity business since 1989, since then I’ve been traveling the beautiful country of Belize and meeting people from all over the world and frequently ask me about how hard can it be to relocate to this jewel, and very interested in the real estate industry, during the time I have recommended many people and advising them in how to look for the right location to relocate in Belize. In 2017 I embark in a realty training from Rain Forest Realty as at the time they amalgamate with a United States Franchise from the United States Keller Williams Belize International and since then I decided to go in full swing into the real estate services, during this time I have provide my professional services to many real estate companies from across the country, eg. Rain Forest Realty, Seaside Real Estate, Sirena del Mar Real Estate, Caye Management, Ceiba Realty, Emerald Futures Realty, CPC Real Estate Solutions, Consejo Shores, Belize North Realty, Belize Real Estate Dreams, Caribbean Properties Consultants , WowBelize Real Estate and others and now serving independently with professionalism and integrity.